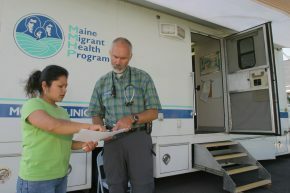 We support the health of seasonal farmworkers in Maine. Edith Flores: Empower Honoree Trailblazer! We are proud to announce that Edith Flores is a 2017 recipient of the Empower Honoree Trailblazer Award for this years’ Empower the Immigrant Woman Conference. 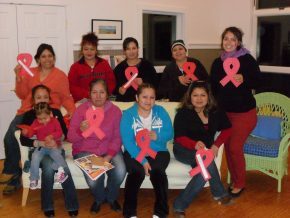 MMHP is incredibly proud of Edith as she has been one of our longest-standing Community Health Workers, as well as a founder of Mano en Mano where she works as a Coordinator in Advocacy and Client Services. – Someone who exemplifies the spirit of the Empower Honoree Trailblazer Award and ability to Empower, Educate and Inspire. Edith embodies these qualities in her work on behalf of both organizations. Coming from a migrant farmworker family, Edith has a unique understanding of the community that she serves. Her strong, gentle presence allows her to form trusting relationships with patients – making an impact on their individual lives while advocating for farmworkers on a community level. Congratulations, Edith. We are so very proud of you!